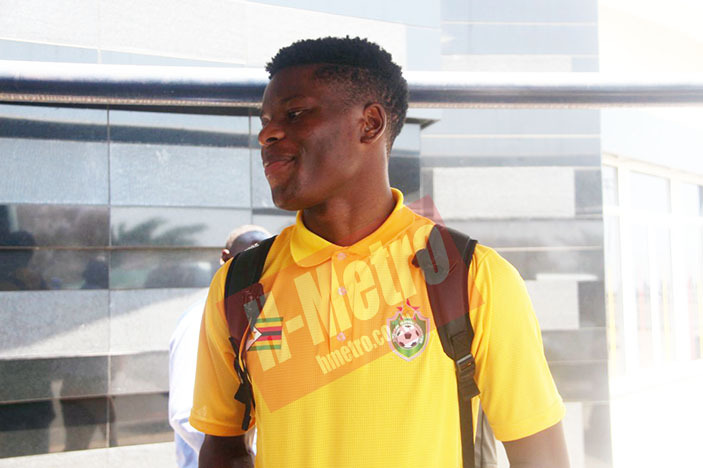 WARRIORS midfielder, Marshall Munetsi reckons they have to maintain the momentum they had against DR Congo in their encounter against Liberia. The Warriors arrived in Liberia yesterday and they play on Sunday. “When we played DR Congo we matched them, we just have to maintain the momentum and make sure we give our best in this game. “A point or three will help us in our quest for qualification. “I think all the players will work hard to give the nation to be happy about,” he said. The Orlando Pirates star believes that his team mates will deliver in Liberia. “Everyone should put his level best because we are a team of great players who can do a great job for the team. “We are players who want to do their best for the team. We believe in our team and we know what we are capable of qualifying for Cameroon. “Our fans shouldn’t doubt us and they have showed us that they believe in us. What’s left is for us to deliver and we will make sure that we will do that,” he said. “I know it’s not easy but I promise to do my best and will just do all I am required to do as a player, if given a chance to play.